Liquid cooled generators are becoming increasingly popular because they have a lot more horsepower and remain running for a longer period of time than an air cooled generator. Benfatti Air Conditioning & Heating offers installation on liquid cooled generators throughout our service area including Slidell, Mandeville, Covington & metro New Orleans. Call for a free consultation. What is a Liquid Cooled Generator? Unlike air cooled generators, which use engines and fans in order to keep your home cool while the power is out for an extended period of time, liquid cooled generators have enclosed radiator systems. With a cooling system similar to those found in many automobiles, liquid generators produce more power than their air cooled alternatives. Most liquid cooled generators produce between 25 to 60 kilowatt hours of power, compared to the air cooled alternatives that only produce on average between 8 and 20 kilowatt hours. 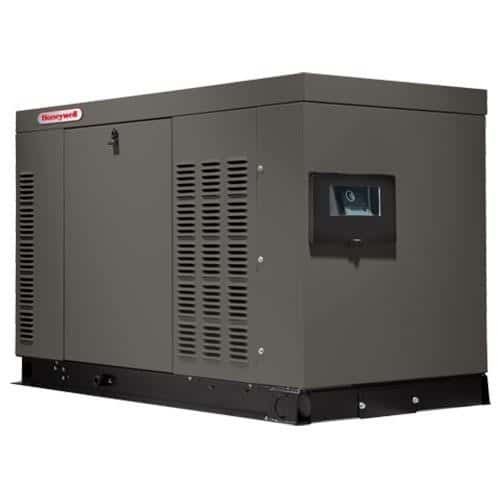 Because liquid cooled generators produce more power, they can keep your home cooler during extended power outages, and even power other necessary appliances, too. If you have a larger than average home, then you definitely want to consider a liquid cooled generator over an air cooled one. This is because your larger home needs more energy to keep it cool, and liquid cooled power generators produce just that! Let’s just be honest, air cooled generators can be quite loud, and nobody wants to deal with all that excess noise, especially during an extended power outage. Alternatively, liquid cooled generators tend to produce less noise, allowing you to relax a little more easily after a hurricane or large storm. While liquid cooled generators do offer several benefits over air cooled generators, they do require a little more maintenance. This is because the cooling process of liquid cooled generators is more complex. Because of this, liquid cooled generators typically include maintenance kits for their owners to utilize, as well as instructions on how often the liquid cooled generator needs to be serviced. As A/C professionals on the Northshore and Southshore since 1989, we know that homeowners like you have a multitude of choices when it comes to selecting an air conditioning and heating service company for your home. We hope you will take a look at the reviews our customers have sent us and their testimonials about the work we have done. Then give us a call. If you are interested in installing a liquid cooled home generator, we want to help! Call us for a consultation any time so we can better understand your situation, explain to you the differences between a liquid cooled generator and air cooled generator and based on your home’s unique needs recommend the right product for you. To reach us, call (985) 646-0540 on the Northshore and (504) 241-3135 on the Southshore today.